A circuit board and guide for kids, ages 8 to 108, who want to learn how to program Arduinos without messing with all the wires. 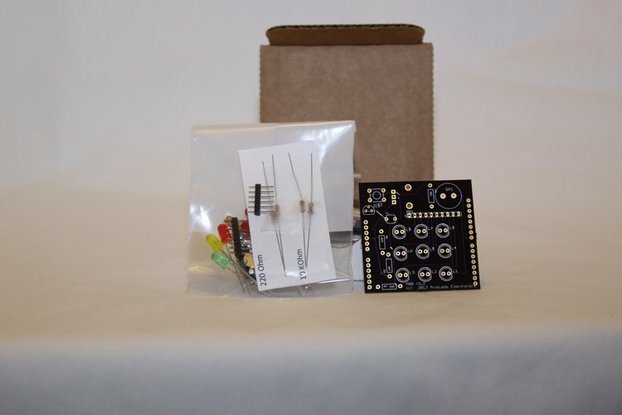 This kit requires an Arduino R3 microcontroller to work. If you have one, great! If not, get one here or from your favorite electronics retailer. All products are available in Class Sets. 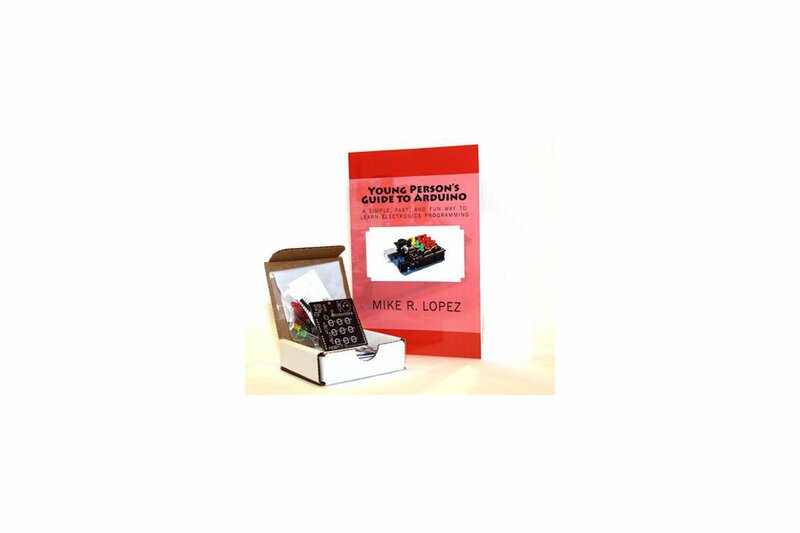 When you order 10 or more kits, we include an extra YPGA book and a DVD with the videos. We strive to make educational technology accessible to everyone. At Avocado Electronics, our products are priced to cover manufacturing expenses. "Thank you very much for getting this out. I am sure I will enjoy going through this with my daughter. I really appreciate the effort and enthusiasm you put into this project." - Ray T.
"I've backed a number of "educational" Arduino projects and yours is by far the best. Learned quite a bit working through it." 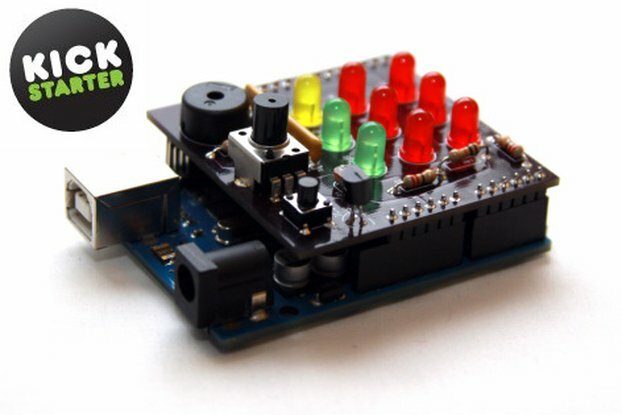 - Jack H.
The Avocado Beginner Board makes learning programming simple, fast, and fun. With the Avocado Beginner Board, Young Person's Guide to Arduino, and an Arduino (not included), you can learn how to program at a fast and engaging pace. Why the Avocado Beginner Board? While there are hundreds of circuit boards designed to help you do complicated things easily with the Arduino, there is no board to help you do the basic beginner programs. Now there is ... the Avocado Beginner Board. It collects all the beginner circuits into a nice little board that allows you to focus on the programming instead of the wiring. What can the Avocado Beginner Board do? Roll the die - Press the button to make 1 to 6 lights turn on randomly, just as if you rolled a die. Crazy lights - Lights flash on and off randomly. Trick cell phone & Doorbell - Make the Arduino sound like a cell phone and then a doorbell. "It's my turn" timer - Arduino counts down so everyone get's their turn. Serial Commands - Make the Arduino send information back to your computer. Temperature lights - Arduino turns on lights depending on how hot or cold it is. Burglar alarm - Arduino makes a noise when a burglar comes around. Night light - Turns the lights on when it gets dark. Rising tone - Turning knob makes the speaker tone go up and down like in a spooky song. With the Avocado Beginner Board, no wiring is needed. Nine LEDs, a light sensor, temperature sensor, two switches, and a speaker are permanently wired to a sturdy circuit board that snaps right into an Arduino microcontroller. 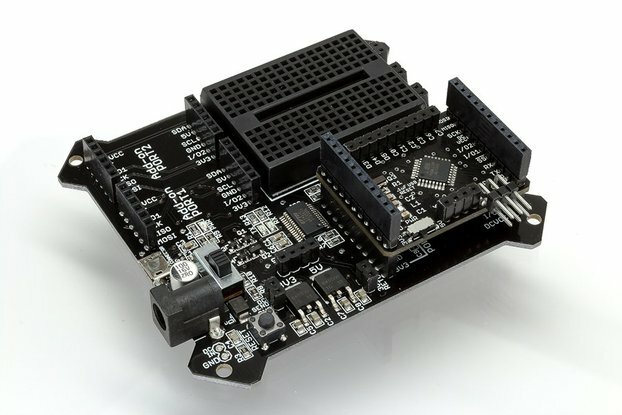 With the Avocado Beginner Board attached to your Arduino, it is fast and easy to create programs and see instant results. One of the great things about working with the Avocado Beginner Board is how quickly you can iterate and experiment as you learn. This is facilitated by the Young Person's Guide to Arduino. Just like a science class, students learn through iterative experiments of increasing complexity. Each lesson then starts with fundamental programming principles, a review of the commands that will be used, and an example program. After coding and executing the sample program, problems are presented that require the student to synthesize and apply their learning in new ways. Students quickly change and execute their modified code to test their assumptions. This iterative approach quickly builds problem solving aptitude, a critical skill for any person in a technical field. Each chapter consists of an experiment and each experiment has four parts. Word problems that expand the students learning beyond the example program. Two types of problems will be posed: Type 1: What do you have to change in the program to change the result to X? Perform the change and see if you are correct. Type 2: If you changed Y in the program, what do you think will happen? Try it out and see.